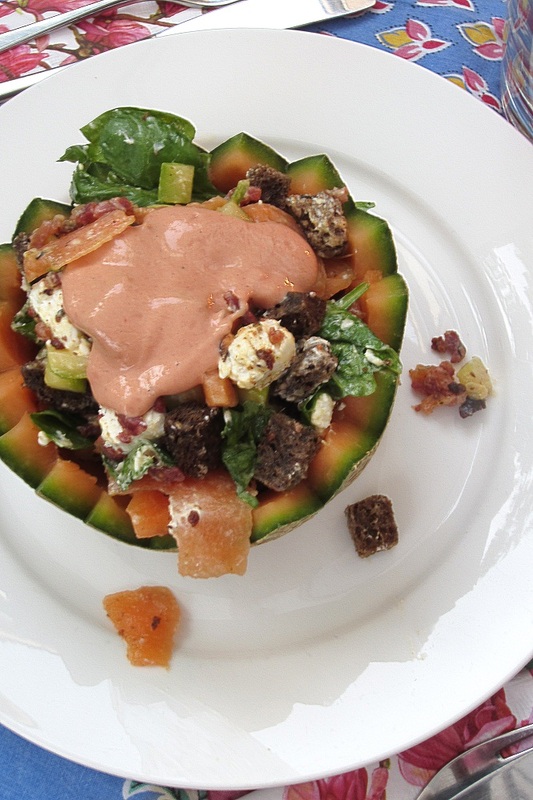 The concept of this dish is easy, a filled half melon, but what a beautiful sight it is. 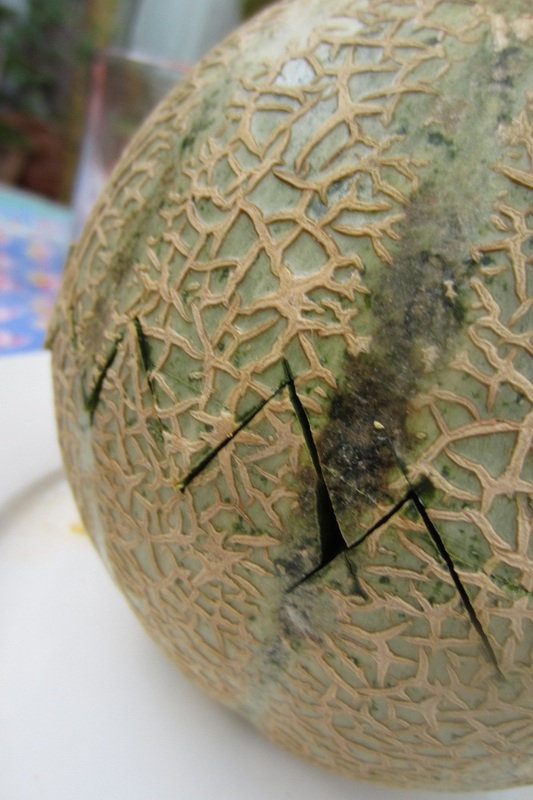 Any sweet melon of choice, only no water melon this time, cut in half, preferably with a “toothed”-rim. Scoop out the melon if possible with a cutter for small balls, a so called Parisian or baller cutter. For the filling choose a savoury part, like chicken backed with herbs/garlic. Or use on one of your non-meat-days a combination of Gouda- and goats-cheese. Then for the greens, spinach wetted with lime jus, and/or zucchini cubes backed in olive oil with herb-the-provence, or what is still in your fridge ! Mix some lettuce with all the ingredients in a bowl and fill your melon halfs. A little sauce on top made of yoghurt-pepper-currypowder and you are ready to go. 250 grams chicken thighs in combination with bacon, or a combination of soft goat cheese with a firmer cheese. Practice your cutting so you end up with same-sized pieces.